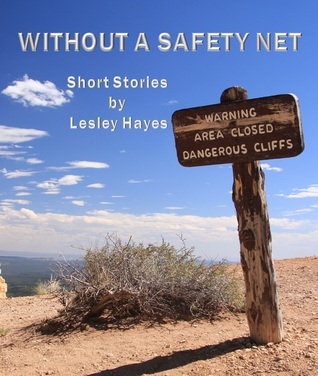 Today I am going to introduce a very talented writer with a large body of work and a wide range of genres: Welcome Lesley Hayes. I sent Lesley a set of questions and below you can find what she wrote in response to them. Here is the blurb and my review of Round Robin, my favourite of her books – but then, I have not read all of them, yet. On a deceptively peaceful morning in rural Oxfordshire a bolt from the blue splinters the surface of Robin’s familiar world and pitches him into uncertainty. By the end of the summer holidays he will be eleven, and until now has been looking forward to starting secondary school in September. But a much greater change than he could have imagined is on the horizon. It isn’t just Robin’s world that undergoes a radical transformation. No one in this novel remains untouched by the turbulent events that take place during the following six weeks. Love is questioned, lost and rediscovered as the characters find their way towards the novel’s ultimate denouement. Patrick, the surly bully of a headmaster, and Iris, his long-suffering wife, both face unforeseen life-altering challenges. Maddy and David are forced to review their relationship with one another and, more importantly, with themselves. Laura’s steadfast heart stands to be broken all over again. And Robin is the fulcrum around which each of them constellates. In one way or another he affects everyone. His own future hangs in the balance, and is largely dependent on other people’s choices on his behalf. Wise, poignant, thought-provoking and at times even mordantly funny, ‘Round Robin’ will move you and stay with you long after the final chapters have been read. “Round Robin” by Lesley Hayes is a wonderful read about a ten year old boy, somewhat anxious and fearful when we meet him first and a boy whom you can’t help feel for from page one. Secrets are revealed, truths need to be confronted, changes are being made and values are being challenged. It’s a tough world sometimes but not everything that changes needs to be bad. Skilfully plotted and written with great literary quality this is an amazing story that grabs you from the beginning. The characters and their stories stayed with me for a long time and I found a lot of fantastic quotes at the end of the book that I want to remember. A thoughtful and entertaining read with some beautiful messages and values and such great feel to it – even when the going gets tough. Excellent. I began writing almost as soon as I could talk. When I was 13 I submitted one of my many short stories to a National Newspaper competition and won it. At 14 I wrote my first novel, which was damned with faint praise by my English teacher who said it was good, but not quite as good as Elizabeth Bowen’s ‘Death of the Heart’. 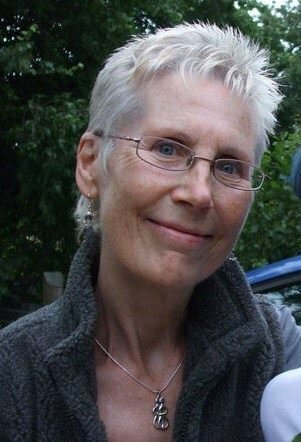 At 17 I abandoned a trajectory that would have taken me to Oxford, and left my Girls’ Public Day School with my headmistress’s words ringing in my ears: “I wonder what will become of you, Lesley?” I’ve never gone back to tell her. I got a job on Honey Magazine, where my first short story was published. I was head-hunted by an agent at Laurence Pollinger who remained with me for the next very successful twenty years. Typical of my Gemini personality, one career wasn’t enough (I’d had two children by then on the same basis) and I decided to train as a psychotherapist. Well, that was the start, I often think, of my ‘real’ life, the life that took me deeper than I would have believed possible. It was a career that fitted me like a glove and brought out the best in me. There is nothing like sitting in a room for many hours a day with other people’s suffering to humble the heart. My youthful arrogance and my pretensions to being anything other than an authentic, empathic human being dwindled away, an unnecessary disguise I was happy to shed. Another twenty years passed, and I emerged a wiser person into a new dawn and a decision to reinvent myself as a writer. One identity can sit as comfortably as any other when identity is not so important any more. I don’t like labels and avoided using them as far as possible in my work as a therapist. I have resisted labelling myself, therefore. As a writer, I don’t fit into any genre any more than I can be categorized as a person. That’s been true of my personal life. I think my somewhat unconventional life (in conventional terms) has informed the depth and breadth of my writing. I was fascinated by human psychology, long before it occurred to me to train as a psychotherapist. I am always studying people’s behaviour, their interactions with one another, the incredibly powerful dynamics that guide us, and the emotional and energetic undercurrents that flow between us. I suppose it’s there that I’ve found the inspiration for all my books. In my short stories I’ve often picked up the nuances and shone a light on them, sometimes humorously, sometimes depicting the darkness beneath. In my novels I can be lighthearted in the style in which I write – as in ‘The Drowned Phoenician Sailor’ – or more serious, as I have been in ‘A Field Beyond Time’ and ‘Round Robin’. Serious, but never ‘heavy’, as I believe we can put even painful truths across in a way that falls on the heart and mind gently, even profoundly, without shouting at the reader. At the moment I’m working on a book called ‘Dangerous People’, which again is written with a lighter touch and tone, although there is darkness tiptoeing between the pages. As in life, there is no avoiding it. Our shadow falls behind and before us, whether we acknowledge it or not. My earliest writing influences were T.S Eliot, James Joyce, D.H. Lawrence, Aldous Huxley, C.S. Lewis, Arthur C. Clarke… They all set the bar high for me when it came to my own writing. I think I have a poet’s eye for the lyrical cadences of language. Whether I’m writing or reading, it’s the beauty of the language that influences whether I feel really satisfied. I also have the DNA of ancient Celtic blood whispering in my veins, which demands the telling of a darn good story. Without drawing on both our old and present day myths, where would we be as writers? You asked me about my experience of self-publishing. I wrote a blog about this last year called ‘The Conundrum of invisibility’. I leapt over the fence into kindle publishing in January 2014 and landed full of optimism, discovering it was a whole new ball-game beyond all ball-games I might have imagined. I floundered through the twittersphere and groped my way towards facebook, miraculously finding some like-minded souls (and excellent indie authors) along the sometimes tortuous path. I spent a couple of months desperately trying to find new and interesting ways of promoting my books, whilst also writing. I almost crashed and burned in the process. And then I had one of those flashes of insight that reminded me I was primarily a writer and that was the joy… that was my bliss (as Joseph Campbell once put it) I needed to follow. Since then I’ve been happily engaged with reading and reviewing other authors as well as continuing to write. If people buy my books, that’s wonderful. It’s the icing on the cake. But I’m not going to put too much energy into making it happen. I trust in the interesting process of osmosis that means sooner or later readers will find my books, and my task is to keep writing them. My advice to new writers is simple. Write. Develop a daily mindfulness practice of writing. It can be a kind of meditation. Keep a journal. Write about your feelings, not simply events. Whatever you write, polish it till it shines. Don’t be satisfied with your first draft. Be pragmatic about destroying it if necessary. Think of it as a sculpture that has its own intrinsic form that you are simply facilitating coming into being. Don’t even consider publishing it until you have honed it to perfection. You’ll know when that is. Five or six drafts will usually do it, but if it needs more, or if you suddenly realise it needs radical restructuring, then so be it. Pay attention to grammar, syntax and spelling. If you are no expert at these then learn – find a teacher if necessary. And every bit as important – read. Read well-written books by good authors. Join or create a book group where you can learn among other readers to understand just what makes a book better than simply a ‘good read’. My favourite authors these days are various. I’ve always been a voracious reader. But there are some whose books I will buy even without reading the synopsis: Sarah Waters; Jeanette Winterson; Sebastian Faulkes; Lionel Shriver; Patrick Gale; Haruki Murakami; Alice Hoffman… these are the ones who immediately spring to mind. Since I became a convert to reading on kindle, I’ve become rather an evangelist. It’s like carrying a library around in your pocket. I love it. I’d hate to see the end of hardbacks and paperbacks, though. There is a whole tactile experience to be had when reading one, with which e-books can’t compete. On the other hand, they’re a lot less wieldy for propping up while you’re eating, or for shoving in your hand luggage on a long journey, when you might want at least a couple of books to keep you going. At the moment I’m working my way through a long list of indie authors whose books I’m reviewing. It’s a joy to review a book that really makes my heart sing, and I’ve found a number which have done that. Situational humour is what makes me laugh most, and I suppose that comes across in my writing. I enjoy wit and wordplay, and anything that pricks the bubble of pomposity. The best jokes are often the ones we tell at our own expense, and I love watching and listening to comedians and writers who excel at that. Woody Allen is a good example. Mike Leigh is another. I can watch their films over and again and always find something new in them. When I’m not writing or reading, watching films is one of the things I enjoy most. They have to be intelligent, subtly clever and have some fundamental meaning or message, even if they’re comedies, in order to hold my interest. The same is true of the books I read. One of my most enjoyable pastimes is simply hanging out with friends. I just love the ebb and flow of conversation and the warmth of companionship. I have some amazing friends who are like the sisters and brothers I never had. As an only child I was often lonely, and so as I grow older I more and more appreciate what friendships provide in the way of family. I value the honest and invariably meaningful connection I have with friends. I have had a number of relationships in my life, some of them deeper and lengthier than others. All of them have been learning grounds, and with a couple of exceptions, I haven’t regretted them. Even with the exceptions there were things not to regret – mainly my two amazing children, who are now adults with partners and children of their own. They also are family, of a different order from my friendships. Loving and being loved in our close knit circle is of primary importance to me. I don’t write romances, but I do write about love. I know that this is the driving force behind the universe, and there are many faces of love and many lessons we learn in life about it. At every stage of our development there are new aspects of love to discover. And its opposite – fear – is the other driving force that motivates, rejects and often paralyses us as human beings. You will find in all my novels an exploration of these themes. Which is why, when you asked what song would go with my books, the one that came to mind is the Cranberries track ‘No need to argue’ – it’s so beautifully sung, and the lyrics somehow for me sum up the feelings of loss, regret, pain and redemption… “You’ll always be special to me…” Sooner or later in life we all carry those emotions in our heart. That’s so good. I would really like to know if she has a daily writing routine and a place in which she likes to write. Oh … and thank you for presenting it in such an admirable literary fashion. Well done. Christoph, you’ve done it again. This is such a mindful interview. And it’s particularly nice to meet Lesley. Hugs to you both. A good interview Christoph, and thank you for prompting such deep and meaningful responses from Lesley. This was a good insight into the mind of the person at the helm of some great work. 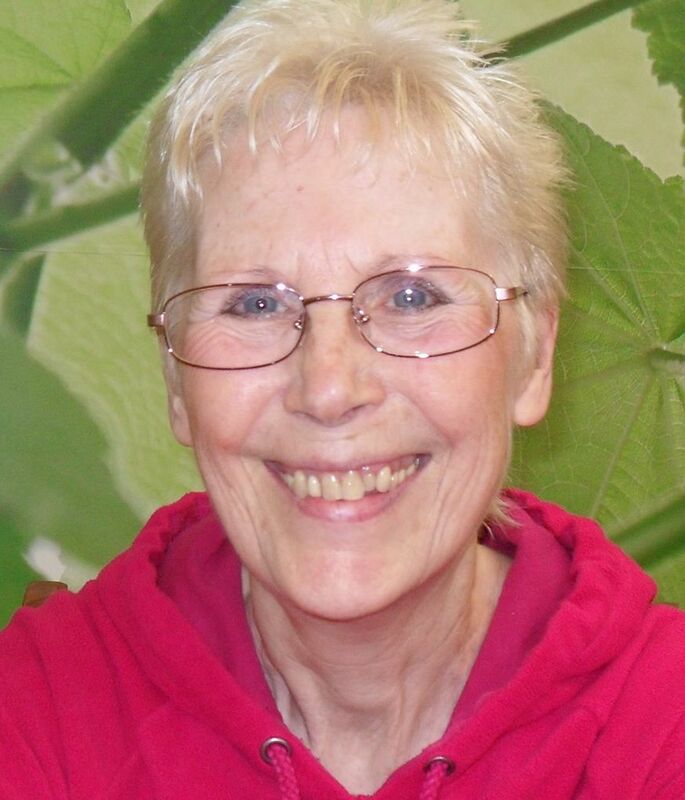 Lesley is rightly admired for her writing and I’ve enjoyed her novels and short story writing. I’m pleased to say I haven’t read all of her work yet. It’s nice to get to the person behind the brand. Many thanks to you both. 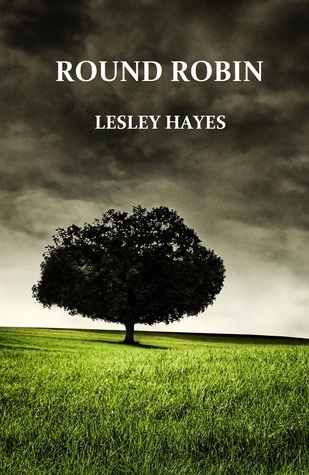 If You get the opportunity to read one of Lesley Hayes books, take it and enter the world of a fascinating indie author’s imagination… you won’t regret it . Thanks so much Christoph. I hadn’t met Lesley yet but after reading the interview I’ll follow and check her books. LOVED this interview! And, as someone wise recently said, love is the force that drives the universe…..Seriously, I really enjoyed learning more about this fantastic writer.